Choose the Camping all Inclusive offer of Minoan Lines and travel with your camper or caravan and sleep in the comfortable cabins, for the price of a deck seat! 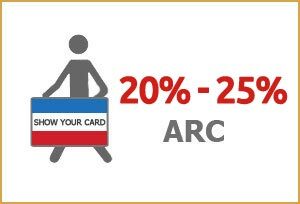 Further more you are entitled to a 30% discount in the self-service and a la cart restaurants! Your camper / caravan remains in the garage (with a 220V power supply). The offer includes an inside cabin (AB2 , AB3 , AB4) and a 30% discount in the self-service and a la cart restaurants per person per way. All this at the price of a deck seat per person plus the price of the vehicle! Do you wish to have your four-legged friend with you in the cabin? There is only an additional cost of €25 per way! Travel to and from Ancona and Venice throughout the year with this amazing offer! 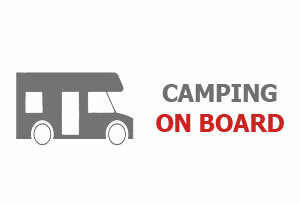 Valid for passengers travelling with their camper or a car and caravan. The offer includes an inside cabin (AB2, AB3, AB4) plus 30% discount on all meals and beverages in the a la carte and self service restaurants during the trip. All in the price of a deck fare per person plus the vehicle price! If you wish to take your pet in the cabin, there is a surcharge of approx 25 Euro, per stretch. This service is valid throughout the year for ferries from and to Ancona and Venice.